Both of the major European Championships, plus the Le Mans 24 Hours and Belcar feature in this category. Belcar? 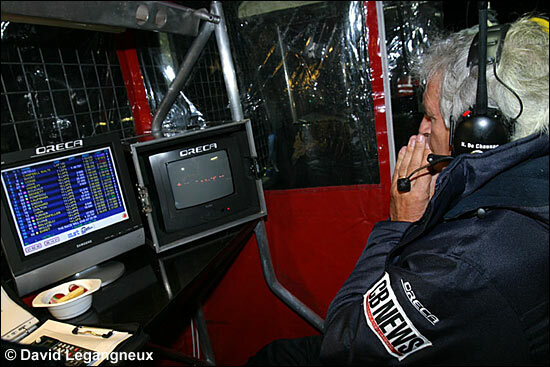 Yes, well, Patrck Selleslagh’s tears after his Corvette C5-R clinched the 2005 title were a moment to remember. The FIA GT moment was provided by our European driver of the year, Pedro Lamy, limping home in Bahrain, a result which would eventually give Gabriele Gardel a GT1 championship victory. 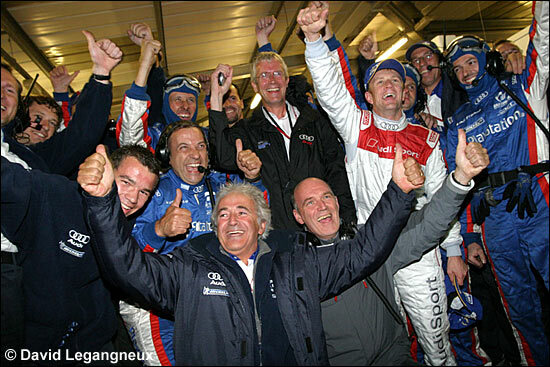 The ACO themselves provided another moment to remember as it emerged that the factory Zytek had not been awarded a place on the grid for the Le Mans 24 Hours, a strange decision that looked all the stranger when the car powered home to a race win at the opening round of the LMES at Spa-Francorchamps! Also missing out on a Le Mans entry was team LNT, they too provided a winning performance at Spa, this time in GT2 – that 1-2 result for the TVR T400Rs would provide another moment to remember. Which brings us to our top three – third place is a combination of moments over almost three hours. 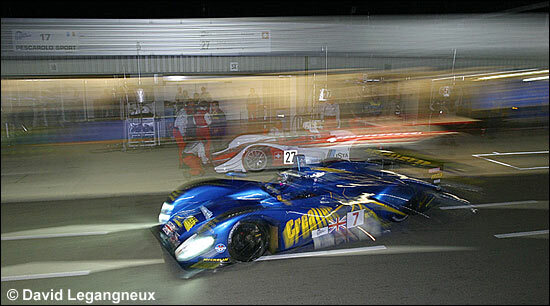 In the pouring rain of Silverstone there were dramas aplenty in the opening stages of the LMES 1000km race. Amongst the large number of cars struggling though were two truly heroic performances – Wolfgang Kaufmann, steering the A-Level Porsche to unparalleled heights and only losing out on a class win in GT1 in the closing stages of the race, while in GT2 it was Xavier Pompidou who was impressing everyone, the 2000-built Sebah Porsche 911 GT3R up to sixth overall at one point – and that in a race in which 21 LMP cars had started! The car would win the class and set up a run for the title for the second consecutive year. In second place was a truly historic moment – Tom Kristensen has become almost as much of a Le Mans institution as the Dunlop Bridge. The scenes as he crossed the line to secure a record seventh win in the great race will remain with everyone who witnessed them forever – will it be eight in 2006? 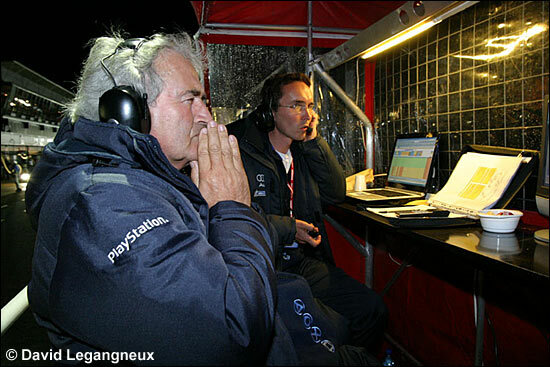 dailysportscar.com’s 2005 European Moment of the Year was Stephane Ortelli vs Jamie Campbell-Walter in the Closing Stages Of The Silverstone 1000kms.